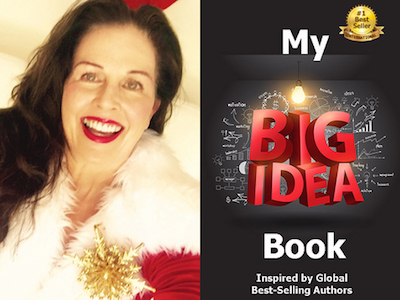 Bernadette Dimitrov is featured in Expert Insights’ #1 Int’l Bestseller, My Big Idea Book! Bernadette Dimitrov, aka Australia’s first official Mrs. Claus, is an International Best-Selling Author, Founder/Head Trainer of SantaClausPeaceSchool.com and a Happiness & Peace Ambassador. 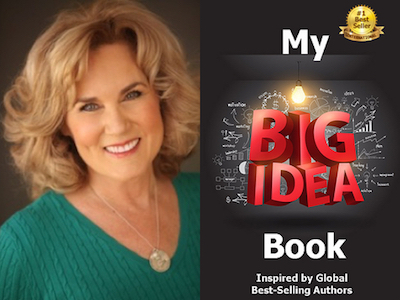 Linda Kroll is featured in Expert Insights’ #1 Int’l Bestseller, My Big Idea Book! Linda Kroll is a therapist, mediator, attorney, and the #1 International Best-Selling Author of Compassionate Mediation® For Relationships at a Crossroad: How to Add Passion to Your Marriage or Compassion to Your Divorce. Her original systems of Compassionate Mediation® and SELF-led Divorce® have helped to change the face of divorce, one heart at a time. 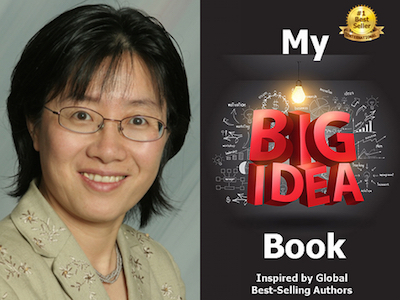 Quli Zhou is featured in Expert Insights’ #1 Int’l Bestseller, My Big Idea Book! Quli Zhou is a Master Graduate of Chengdu University of Chinese Medicine, and received the Acupuncturist of the year award in 2001. She was also rewarded as a distinguished professor of Chinese medicine in 1995 and listed in the “Who’s Who” in 2002. Licensed nationally and by California as an acupuncturist and herbalist, she brings over 24 years of international clinical experience to her practice. Being a thought leader of natural healing for three decades, Quli has been dedicating herself to helping her patients live their life purpose through health and vitality. 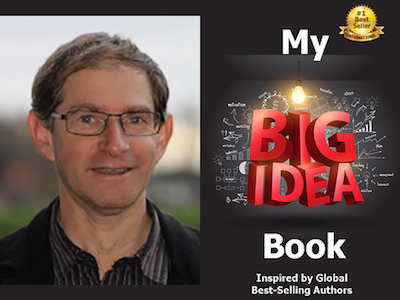 Andrew Gowan is featured in Expert Insights’ #1 Int’l Bestseller, My Big Idea Book! Andrew Gowan is a leading Naturopath, Bowen® Therapist, nutritionist, researcher, musician, quantum jumper, author and father of 7 talented children. 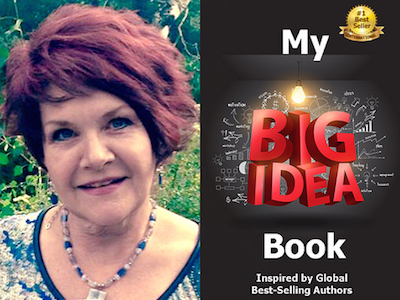 Julie Stamper is featured in Expert Insights’ #1 Int’l Bestseller, My Big Idea Book! Julie Stamper is a #1 International Best-Selling Author in the anthology, Pebbles in the Pond-Wave Four. She is also a mixed-media artist and proprietor of Angel House Retreat. 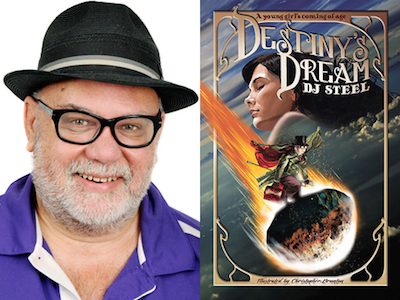 Congratulations to DJ Steel for his #1 Int’l Bestseller, Destiny’s Dream! for his #1 International Bestseller, Destiny’s Dream ~ A young girl’s coming of age. DJ Steel was born in Brisbane, Queensland, Australia. At the age of ten years old, his family moved to Papua New Guinea. The family moved once again to Queensland, Australia when he was a teenager. He spent five years in Charters Towers, an inland gold mining town, southwest of Townsville, Australia. DJ attended James Cook University in Townsville, where he studied journalism and French. It was there he developed his interest in the Aboriginal tradition of storytelling and as a part Aboriginal, immersed himself in the culture of his extended tribe and the ancestry of his family. Following his studies, DJ worked for the Murdoch Press daily newspaper in Townsville, The Bulletin. He worked in print media for fifteen years. During this time, his passion for storytelling grew, alongside his love of hiking. During a stay with friends in the Southern Highlands of New South Wales, Australia, the spark of the story that was to become Destiny’s Dream germinated. In a village called Hill Top, the seed of his idea grew and the early drafts of Destiny’s’ Dream were written. On his return to Townsville, DJ worked and nurtured his idea and completed his first children’s novel with magnificent illustrations by Christopher Brunton. 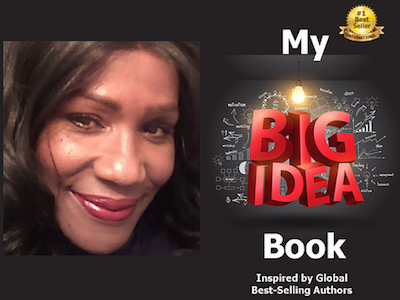 Bernadette Broughton is featured in Expert Insights’ #1 Int’l Bestseller, My Big Idea Book! Bernadette C. Broughton is a Certified Results Coach, President of LifeStyle DeSign, Founder of “Full Effect” Vision Board Workshops, and Self Mastery Expert ~ Transforming Passion into Excellence.